Growing up in Oklahoma, BuildBlock is familiar with tornadoes, earthquakes, and other natural disasters. 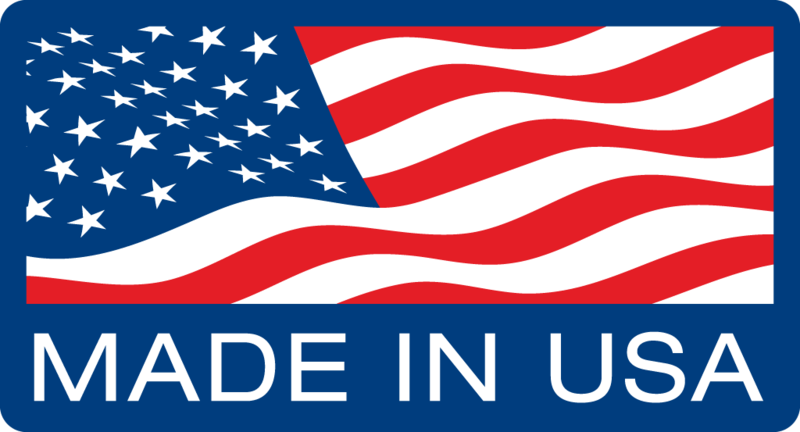 That’s one of the reasons BuildBlock designed our products the way we did. Tight interlocks, integrated rebar hangers, and other features that take the hassle out of building with ICFs. 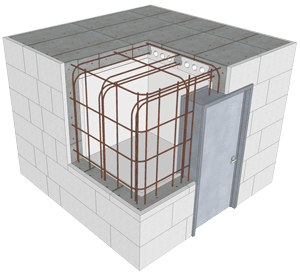 BuildBlock has added FEMA Compliant Safe Room Plans to its technical manuals and detail sheets.View the gallery below to see how this product integrates inside a conventional wood built home and visit our Safe Rooms page for more information. Our national design partners, Nelson Design Group is in the process of converting their standard safe rooms and master closets to match these specs, making it even easier to add a BuildBlock Safe Room to your new home. You don’t have to wait to build a new home to add a safe room. BuildBlock Safe Rooms can be added to nearly any structure, or as part of a room addition. 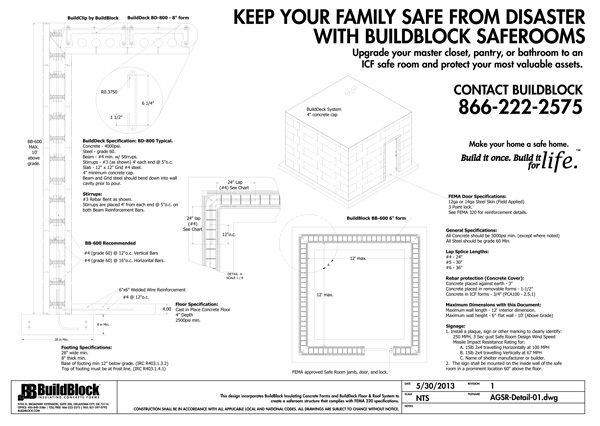 BuildBlock safe rooms primarily use three products. BuildBlock 6″ ICF Blocks, BuildBlock 6″ ICF Corner Blocks, and BuildDeck 8″. 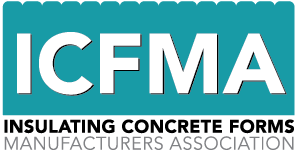 Tied into special footings or a foundation with rebar, the reinforcement throughout the ICF blocks creates a safe and secure spot for your loved ones in an emergency. These spaces can be used in a variety of ways can act as any room in your home. An ICF safe room is an excellent place to store valuables such as a safe, jewelry, or guns and will keep you and your family safe in the event of an emergency. Contact our sales department for more information at (405) 840-3386.